These lovely flowers brightened my day on Saturday. My husband was working in the yard and rang the doorbell. I opened it and there he was presenting this gorgeous bouquet. The only thing was – they weren’t from him! I said, “Oh, Honey, thank you for remembering the 16 year anniversary of our first date!”. He said, “No, they really aren’t from me. 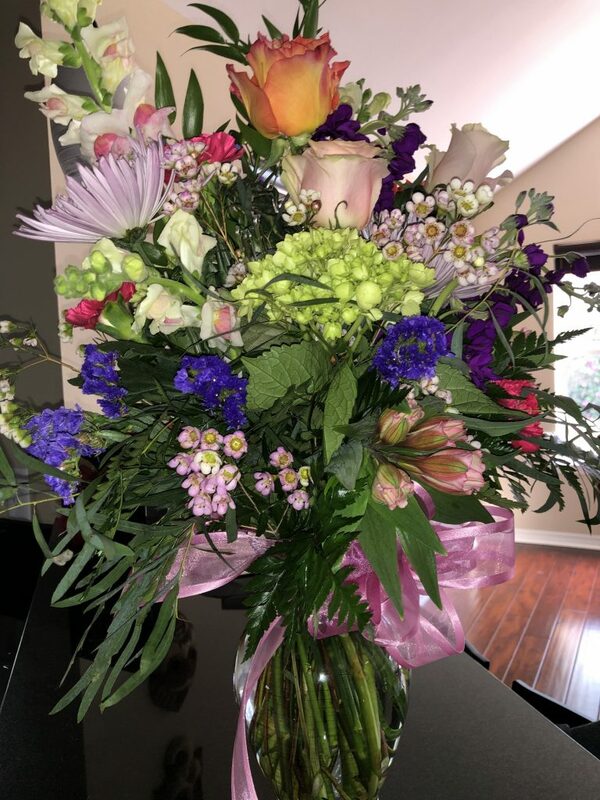 The flower delivery truck just pulled up and dropped these off.” I brought them into the house and opened the card. They were from my Niceville, Florida buyer who had just closed on her first home. The note thanked me for helping her, stating “I could not have done this without you!” This kind gesture made my day! First Time Home Buyer SOLD – Bluewater Bay Blue Pine Village! 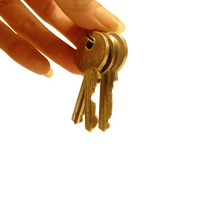 It is such a rewarding pleasure to help a first time home buyer purchase his first house! Today I sold a home in Blue Pine Village, Bluewater Bay, Niceville Florida. The young buyer was just 21 years old! To see the wide-eyed wonderment at his pre-closing walk-through made my day! He told me “he couldn’t believe” the dream had become reality of his first ever home. Just imagining his puppy romping on the tiled floors and playing in the back yard, making the garage into a “man cave”, having a computer room, noticing little touches previously overlooked, like the custom tiled shower brought exuberant smiles to his face. All wishes were granted as he signed closing papers today! A new homeowner! How may I help you buy or sell a home in Niceville Florida or anywhere on the Emerald Coast? 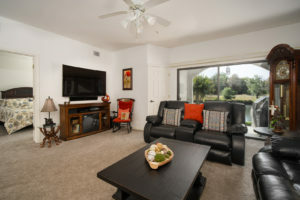 This Lakeside at Bluewater Bay condo sold in seven days! 403 Westlake Court, Unit 5, on the lake and across from the Bluewater Bay tennis center and courts, was clean and impeccable! Neutral, white modern decor, located on the first floor and offering a spectacular lake setting, this Niceville Florida condo was hard to resist! Lakeside at BWB Unit 403 was built in 2000 and had three bedrooms and two full bathrooms. The kitchen was open to the living room with a lovely suspended open cabinet. The water view brought a pleasant vista to the living room, kitchen and master bedroom. Why is Bluewater Bay such an attractive place to live? 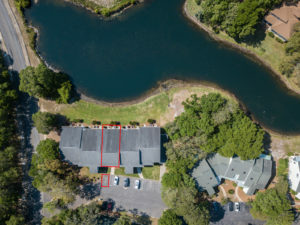 Bluewater Bay is a planned community with mature trees, numerous golf courses, marina, tennis center with 12 clay courts, clubhouse, community pools, two restaurants including Bluewater Bay Sports Bar & Grill and Schooners Dockside Restaurant, and more. Bluewater Bay is convenient to Eglin Air and Destin beaches. 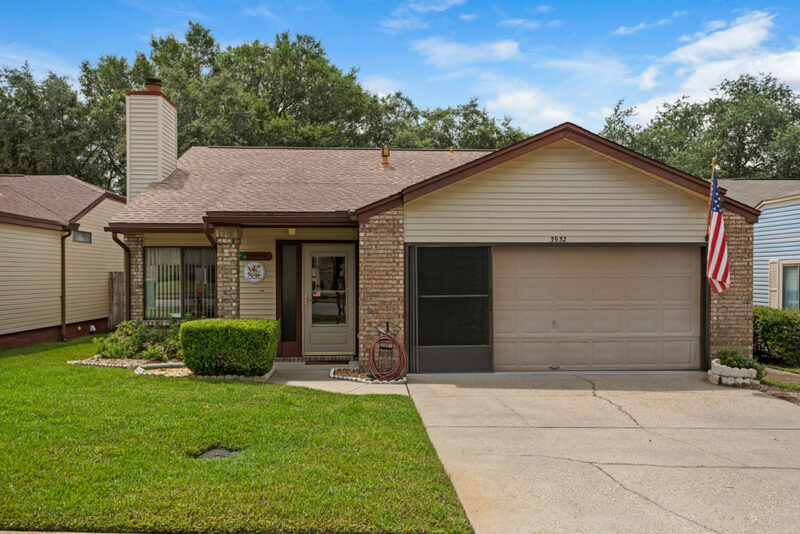 403 Westlake Court, Lakeside at Bluewater Bay, Niceville, Florida sold for $219,900 – full price – in seven days. My Latest Zillow Review – and “She Speaks Italian”! My most recent Zillow review brings on the smiles! Thank you, Kate and family, for allowing me to help you sell your Bluewater Bay property! GORGEOUS Bluewater Bay Lakeside three bedroom condo on the lake with two patios. Watch the ducks!! The Bluewater Bay Tennis Center is across the drive! Such choices! This unit is exceptional! Sleek, clean, neutral. Bluewater Bay Resort is known for GOLF, TENNIS, POOLS, recreation, there is even a MARINA! If you are a neatnick – this is for you. If you work from home – this is for you. If you like to relax, this is for you. If you play tennis or have a boat, this is for you! 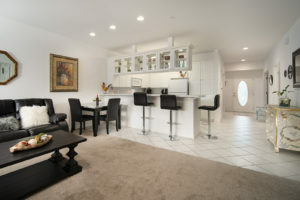 If you love Bluewater Bay and the condo lifestyle, this is the condo for you! 403 Westlake Ct., Unit 5, Bluewater Bay, Niceville Florida is offered for $219,900. Just Sold Cedar Ridge Niceville – 3932 Balsam Dr. in 1 DAY! SOLD in ONE DAY! 3932 Balsam Drive, Niceville Florida 32578 in the Cedar Ridge subdivision sold in less than a day recently! After multiple showing within a few hours, this property had a full price offer. One of the tidiest and cleanest homes I’ve ever sold, this Cedar Ridge property had 1185 square feet, two bedrooms and two full bathrooms. The living room had wood laminate flooring in pristine condition with a cathedral ceiling and beautiful stone-work fireplace. There was a fully enclosed Florida room with tile floors. The cheery kitchen had a large pass-through to the dining area. 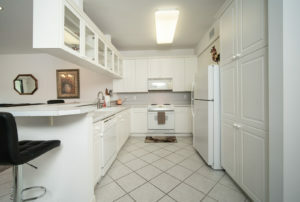 The kitchen was improved with additional counter space and cabinetry. The roof was replaced in 2011. Cedar Ridge in Niceville is a very popular neighborhood and most homes don’t stay on the market long! 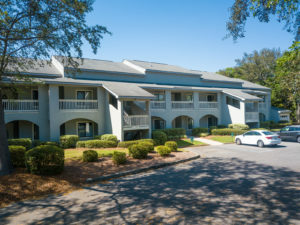 It’s easy access to Highway 20, shopping, Eglin Air Force Base and the Destin beaches. So far in 2017, there have been 22 properties sold in Cedar Ridge with an average sale price of $182,768. The average list price is $181,773, so some properties actually sold over list price! Here are the year-to-date sales statistics for Cedar Ridge in Niceville Florida. The home at 3932 Balsam Drive sold for $159,900. Are you thinking about selling your Cedar Ridge, Niceville Florida home? Give me a call. 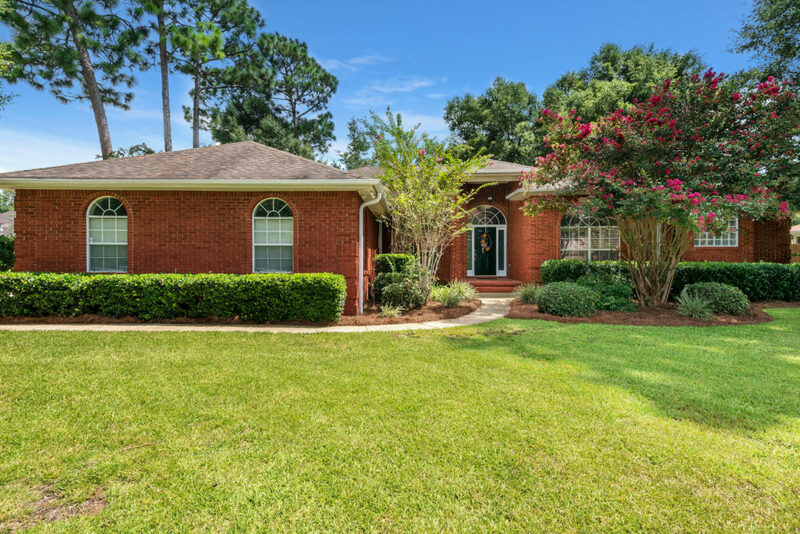 Just Sold – 1307 Limestone Creek Cv., Swift Creek, Niceville FL – Sold in 60 Days! Just Sold – This gorgeous Swift Creek home at 1307 Limestone Creek Cove, Niceville Florida! Built in 2005, this 2818 square foot brick home built in 2005 sold for $433,000. 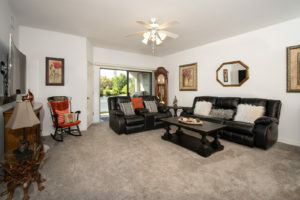 The new lucky buyers have brand new carpet and brand new inside and outside air conditioning units. The home was meticulously maintained. The counter tops were granite and many of the kitchen cabinets had glass fronts for a custom feel. The master bedroom was enormous and opened directly to the rear patio. 1307 Limestone Creek Cove had four bedrooms and three full baths. One of the bedrooms had a private bath with its own hallway, making it an ideal in-law or teen suite. Why is Swift Creek so popular? It’s a gorgeous neighborhood with phenomenal landscaping and the preservation and highlighting of nature. All the homes feel upscale here because of strict architectural guidelines. There is a community pool, tennis court, playground, clubhouse, barbecue grilling area and gazebo. Also, enjoy the walking trails with rest stops along the way. The Swift Creek association fees are a modest $200 per quarter. 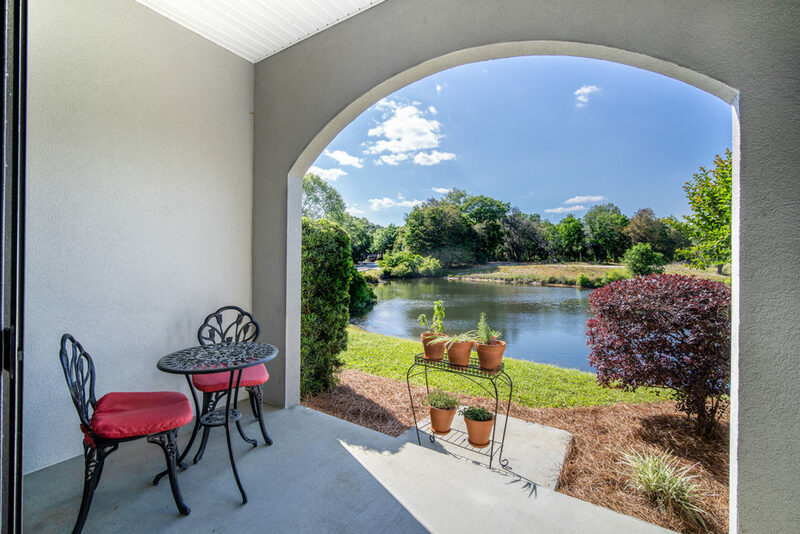 Swift Creek is within close proximity to the Mid-Bay Bridge Spence Connector, shopping at Publix, Starbucks, Walmart, Panera Bread, dining Italian, seafood, Chinese, German and more, and fun neighborhood shops. Military members appreciate the easy commute to Eglin Air Force Base from Swift Creek. 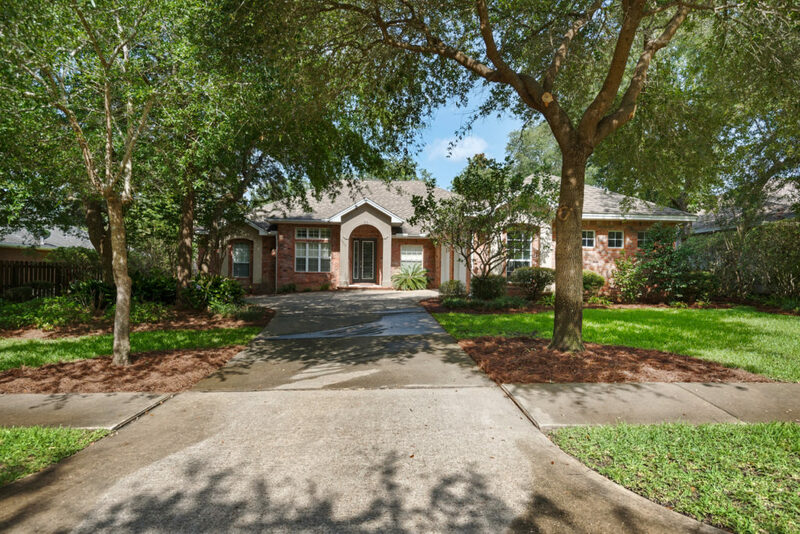 1307 Limestone Creek Cove, Swift Creek, Niceville Florida sold for $433,000 in 58 days. How can I help you sell your Swift Creek, Niceville, Florida home? Beautiful Swift Creek home for sale at 1307 Limestone Creek Cv. in Niceville Florida (ranked Best Place to Live in Florida). The striking design provides openness and the refined touches a luxurious feel that highlight this 2818 square foot home. 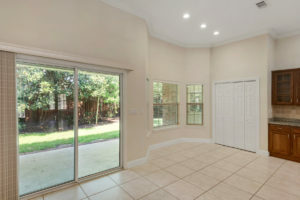 Generous floor plan, high ceilings, formal dining with punctuating columns are to the right of the foyer, to the left, find a study with French doors. The private master suite is on one side of the home in its own wing with a large bathroom, whirlpool tub and two walk-in closets. One of the four bedrooms could be an in-law suite or great place for overnight guests since it has a private bathroom. 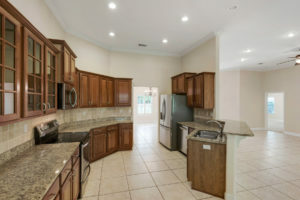 The kitchen offers much chef space and there are plentiful cherry cabinets, granite counters, newer appliances (2015) and a large breakfast spot overlooking the treed back yard. Brand new air conditioner July 2017. Brand new carpet July 2017. Take note of the elegant fixtures, recessed lighting, crown molding, chair rails. 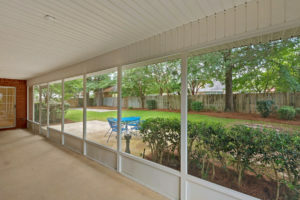 There is a bathroom conveniently located and accessible from the covered rear patio. 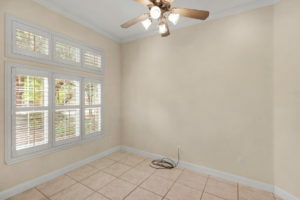 The master bedroom also has direct access to the patio. 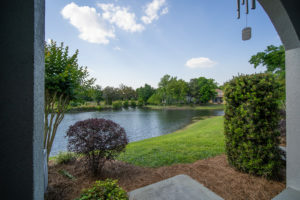 Swift Creek is one of the nicest neighborhoods in Niceville, Florida, near Eglin Air Force Base, twenty minutes to Destin Florida beaches and shopping. Swift Creek has a community pool, tennis facilities, clubhouse, meandering trails for walking, jogging or biking and architectural requirements that elevate it to one of the finest on the Emerald Coast. 1307 Limestone Creek Cv. is offered for $439,700. 317 Killarney Road, Niceville Florida, is a great home for sale in Rocky Bayou subdivision! This four bedroom one-floor contemporary home has been updated with new paint and new carpet and features high and trey ceilings throughout. 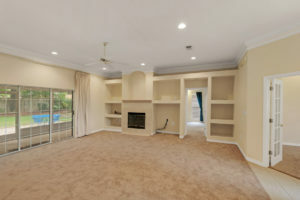 The living room has a wall of sliders to the Florida room and also lovely built-in shelving. The master bedroom has its own sliders to the Florida room and private remodeled bath with whirlpool tub. There are granite counters in the kitchen with all new stainless steel appliances including a Bosch dishwasher and new undermount sink. The fourth bedroom with its large palladian window, would make a cheerful office. Do you have storage needs? There are two pantry closets and multiple cabinets in the laundry room. The yard shines with mature trees and a fenced back yard with separate driveway for parking an RV or boat. Rocky Bayou is a few minutes from the new Publix supermarket and new Walmart and Panera Bread. 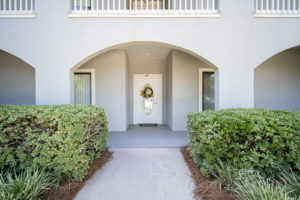 The beach is about 20-25 minutes from Rocky Bayou with exciting shopping and dining options nearby in Destin and Eglin Air Force Base is a short commute. 317 Killarney Rd., Niceville Florida, Rocky Bayou, is offered for $397,000. Contact me for free market analysis of your Niceville Florida home. Adventure on the Mid-Bay Bridge! 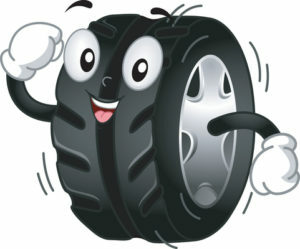 Today I am driving north across the Mid-Bay Bridge in Niceville Florida, when I see a full size tire bounce off a truck and and start rolling full speed down hill from the top of the bridge! Of course, I braked waiting for the ensuing fender bender. Multiple cars were swerving to avoid it as it bounced from lane to lane! I had no choice but to call 911, thinking there was about to be an accident or at least they could retrieve it when it finally found its resting place. As I dialed, low and behold, it did its final dance and leapt over the wall and jumped straight into the Choctawhatchee Bay! Free Market Analysis of your Niceville Florida home.